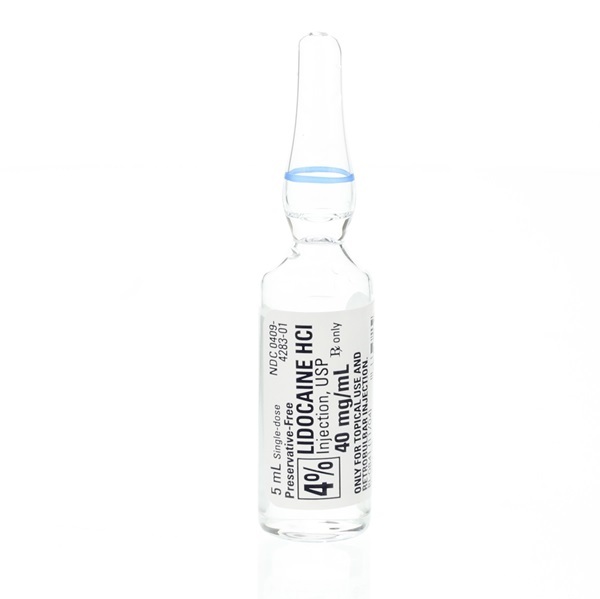 Injectable lidocaine HCI 4% (40 mg/mL), in 5mL ampule. Preservative free parenteral solution. Manufactured by Hospira. NDC: 00409-4283-01. Comes 25 per box.